Back in November, hubby and I enjoyed an afternoon browsing the shops in Tubac, an artist community just a bit south of Tucson. If you are ever in the area, I highly recommend it. Lots of neat shops and plenty of tasty restaurants. We left empty handed that day, but I did get some inspiration for a project. Almost every shop that carried jewelry had a display of beaded ladder bracelets in a variety of eye catching colors. 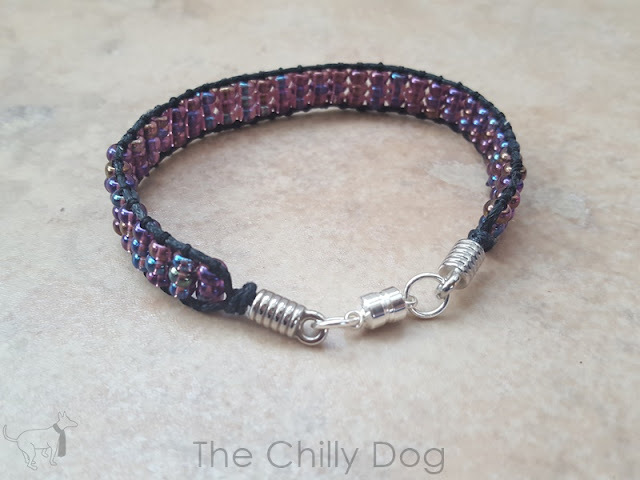 With a few basic supplies and a little bit of time, you'll be surprised how easy it is to create your own beaded bracelets. Begin by measuring your wrist. Mine is about 6 inches around. Fold your cord in half and tightly tie an overhand knot to create a loop that is large enough for your button to pass through. Secure the loop under your clipboard clip. Fold your thread in half and tie it in a knot close to the cord knot. wrap the thread around the cord a few times and tie another knot to secure the thread. Use a small binder clip to secure the cord at the bottom of your clipboard. Once you get the hang of this beading technique, you may not need the bottom of the cord secured, but as you are getting started it helps your work remain untangled. Insert the ends of the thread through the needle. Lift the left cord and pull the thread under it. Slide one bead onto the thread. Lift the right cord and pull the thread under it. Slide the needle back through the bead from right to left making sure your needle comes out above the left cord. Pull the thread tightly to secure the first bead. Slide two beads onto the thread. Lift the right cord and pull your thread under it. Slide the needle back through the two beads from right to left making sure your needle comes out above the left cord and pull the cord tightly to secure the beads. I bet you're starting to see the pattern here. Slide the needle back through the three beads from right to left making sure your needle comes out above the left cord and pull the cord tightly to secure the beads. Continue adding "rungs" of three beads onto your ladder bracelet until the beaded length measures the same as the length abound your wrist. Finally, add a rung of two beads and then a rung of one bead to complete the beaded section. Tie the thread and knot it around both cords. wrap it around the cords a few times then knot it again. To conceal your thread ends, string them back and forth through a few rungs of your beaded ladder, wrapping around the cords on either side. Carefully trim off the remaining thread. Tightly tie an overhand knot in the cords as closely to your wrapped thread as possible. Slide a button onto the cords. Tightly tie an overhand knot close to the button to secure it into place. Trim the cord close to the knot. If you want to ensure that the final knot never unties (Trust me, you do!) add a few drops of G-S Hypo cement around the knot and let the glue dry completely. 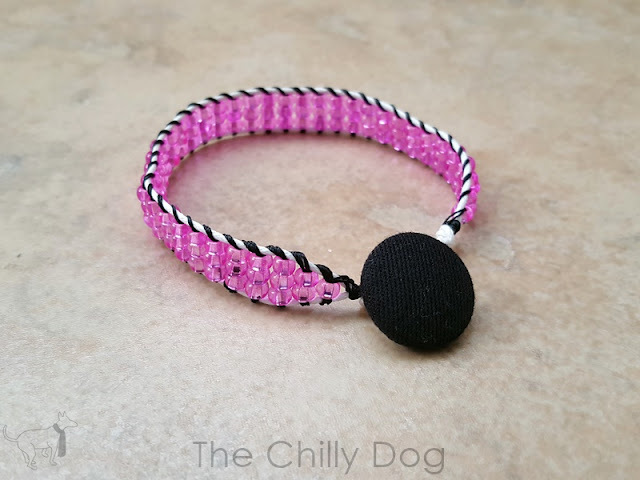 Your bracelet is ready to wear! If you really want to get fancy, you can use your favorite findings to secure the ends instead of a loop and button. I really like magnetic clasps for bracelets because sometimes it's tricky to grab those little lobster claws. 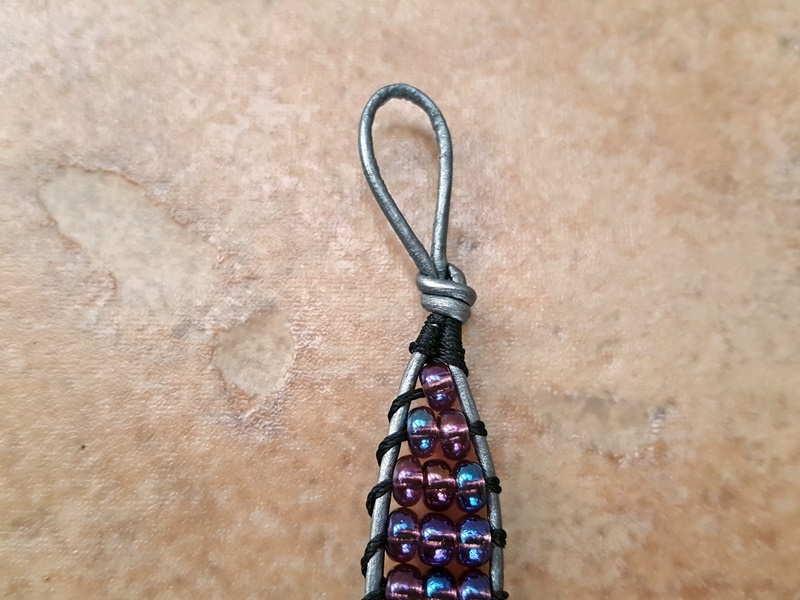 Another option when securing the thread before and after beading, instead of wrapping the thread around both cords at once, you can do a fishtail braid. Just wrap the thread in figure eights around one cord and then the other. Get really fancy and make a wrap bracelet. For a double wrap, you'll need 36-40 inches of cord and about 20 feet of thread. 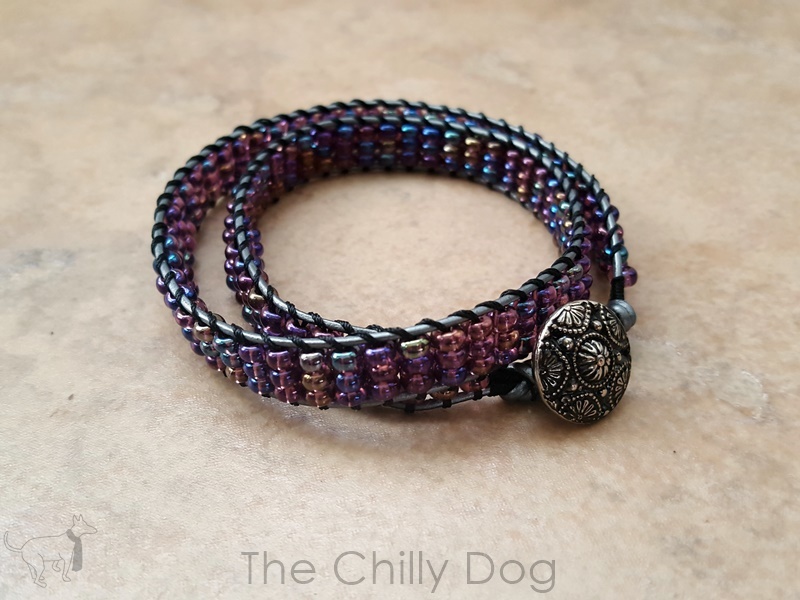 How to make a simple beaded ladder bracelet.